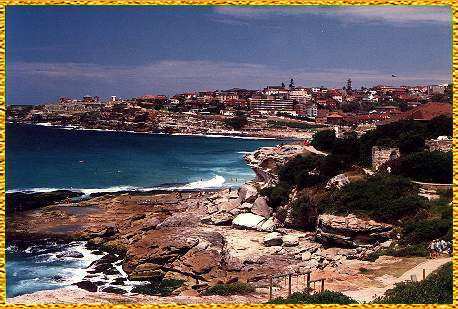 One of my lifelong dreams was realized back in 1987 when I visited Australia. Oz has always exerted a strong pull on me; at once familiar and comfortable, yet exotic and surreal. Flying for nearly 24 hours straight and having my luggage lost for 2 days was well worth it. Yes of course I took a picture of the Opera House in Sydney. Doesn't everyone? 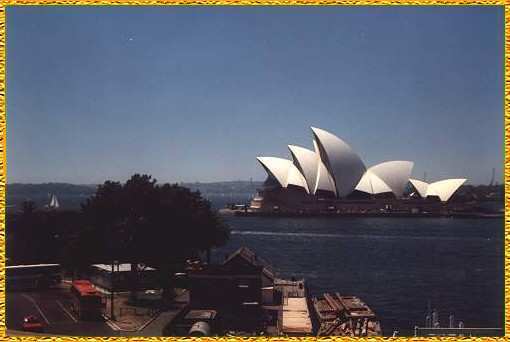 When I first saw the Opera House it was from the air as our plane flew over Sydney just as the sun was rising. It was then I realized I was truly in Australia, and was profoundly moved. 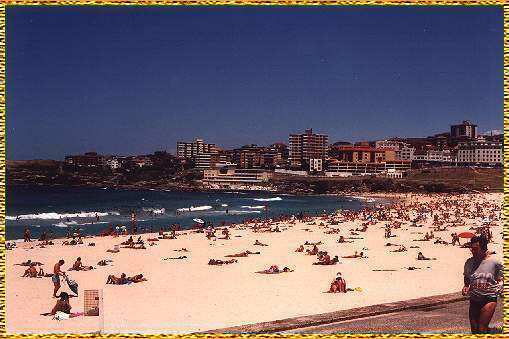 The two photos above were taken at Bondi Beach, outside Sydney. The beach was very beautiful and the surrounding area reminded me strongly of a very clean, gorgeous California. I visited in January, which was the height of the southern summer, and the weather was absolutely superb. 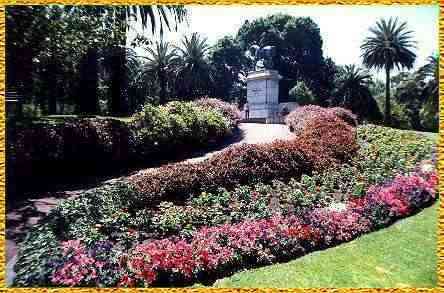 This is a photo of Flagston Park in Melbourne. Melbourne truly is a "city of parks". Everywhere you went were gorgeous parks bursting with flowers. And tree possums! At night you would walk by the park and see the big-eyed mammals hanging on the trees, peering at you.